Does IRS Have Resources to Do Its Increasingly Complicated Job? The IRS budget approved by Congress has decreased by more than two percent in the past year. The $11.8 billion IRS budget falls short of President Barack Obama’s proposal, which would have allocated more than $1 billion beyond its previous $12.1 billion mark. To cope, the IRS has slashed travel, training, and related expenses. It has implemented a hiring freeze and offered buyouts and early retirements to some employees. 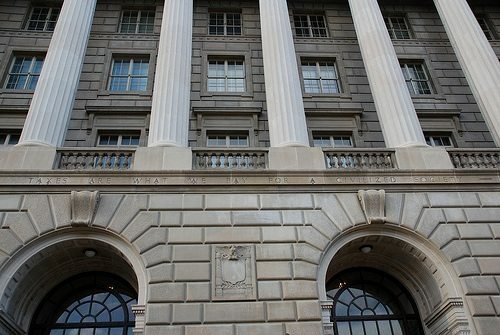 Early retirements often result in a talent drain in organizations, and the IRS has something else to worry about in this regard. Federal News Radio notes that, “within five years,” 70 percent “of all agency executives” and “50 percent” of its non-executive managers will be eligible for retirement. The IRS workforce has now dropped below 100,000 employees. Although the Affordable Care Act allowed for the U.S. Department of Health and Human Services to pay the IRS to hire more than 850 employees to enforce provisions of the law, this hiring has not happened. Those of us in the nonprofit sector are aware that the pressure on the IRS’s tax-exempt and government entities (TE/GE) division has increased because employee numbers have declined (see IRS TE/GE 2011 Annual Report and 2012 Work Plan) while oversight and enforcement requirements for all kinds of nonprofits have increased. Governance questions on the Form 990, the new Schedule H requirements for nonprofit hospitals, and the host of questions surrounding politically active 501(c)(4) organizations are just three areas where the IRS’s tax-exempt workload has increased significantly in recent years.